The wonderful thing about working at Catanger farm is that I can take my dog Marley to work with me, Mary has dogs and was very happy for me to introduce Marley to the gang. The first day I took her was highly entertaining, when she was let off the lead , she chased Oscar (our stud male) round and round the paddock , he chased her, and then after twenty minutes she collapsed in a heap panting. The Llamas are very used to dogs running loose all the time, so were not fazed at all . Marys dogs are, Flora, Archie , Hughie and Carlos, its a bit like doggie day care at the farm and Marley had a great time getting to know them all. 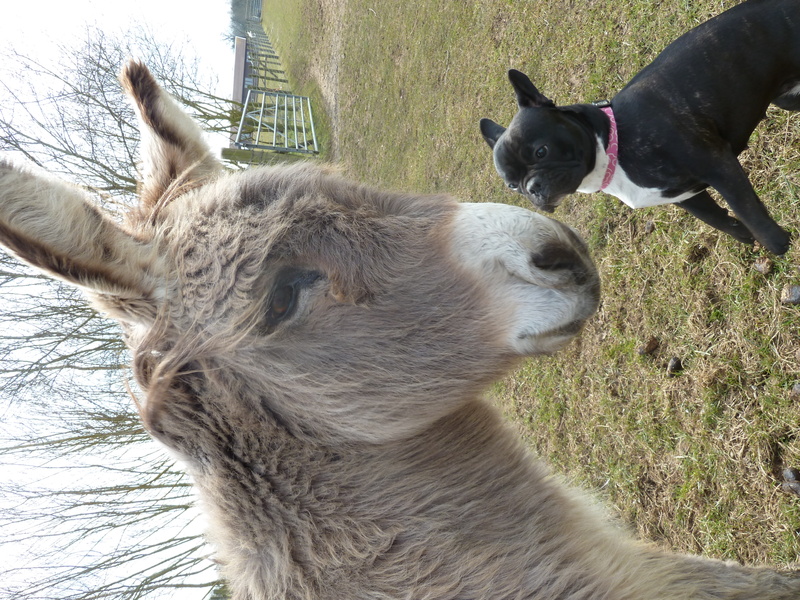 Here is a picture of her first introduction to Dasher the donkey.